We are proud of the reviews we receive from customers that have received a kitchen installation from Clyde Kitchens. Here are just some of the many we receive. We look forward to posting your review here too! Just recently we had a new kitchen fitted in our home by Clyde kitchen. Customers service was outstanding, all questions & queries were answered. Most importantly our design consultant KENNY YOUNG, was very helpful & patient, his suggestions were spot on. I strongly recommend CLYDE KITCHENS to all looking to fit in Bathrooms & Kitchens, we love it. Just had our bathroom refitted by Clyde & we are delighted with the result. Caroline the designer was very helpful & gave us great help choosing the right design & materials. The fitter , Walat & his team did a fantastic job of the renovation. What a transformation!!!! I would not hesitate to recommend Clyde who were initially recommended by a work colleague too me. Thank you Clyde. Recently, we had a kitchen and bathroom fitted by Clyde Kitchens. From the initial visit to the showroom to the end product, the customer service was outstanding. Caroline, our design consultant was superb; her advice and suggestions were ideal and no question or query was left unanswered. Stevie and his team of workmen were lovely and nothing was a problem. I would recommend them to anyone without hesitation. Thank you again for making our home look wonderful. Although a bit more expensive than some of the quotes we received, our designer Steve was really helpful and assisted us to maximise our kitchen space and totally transform our kitchen, which we absolutely love. We required some builders work as well and Steve arranged for fitters who could do all the work. The day the building work was due to start no-one appeared and we discovered our fitter had fallen and broken a leg. Clyde kitchens arranged an alternate set of fitters and oh my god, those guys could work, the fortnight we had booked off work was not needed as they completed the kitchen including the building work within 3 days. I cannot speak highly enough of the fantastic customer service Steve and Martin and Robert, our hardworking fitters, brought to this job. When things didn't go quite according to plan, Clyde Kitchens, Steve and his team, worked really hard to turn things around. A solid 10 out of 10.
once again need to thank Clyde Kitchens for their excellent service in supplying and fitting dishwasher door despite being just out of warranty. Have recently had a new kitchen and bathroom installed by Clyde Kitchens. Initial meeting was with design consultant Caroline, who came to my house. I gave my basic ideas and requirements and from that point on Caroline "did her stuff" with excellent suggestions regarding layout, colour schemes, general costings. etc. through to sending me planned designs online which was extremely helpful. All kitchen and bathroom fixtures and fittings etc. were delivered exactly when was stated. The workmen who carried out the bathroom and kitchen work were of the highest standard and a special mention must go to Scot and Tam who worked on the kitchen, as I consider their work to be outstanding. There were a few issues along the way with the bathroom which is only to be expected on work of this scale, but any minor things were remedied quickly and efficiently. Thanks to all at Clyde Kitchens for a job well done. Great after sales service, phoned yesterday about a faulty tap installed about a year and a half ago, only phoned up for advice as assumed well out of warranty, after care came out very next morning and not only fixed the tap, resealed worktop edge seal I'd accidentally broken cleaning edge. Outstanding service ! Recently had our kitchen remodeled by Clyde Kitchens and have to say that we are delighted with the finished job. From the planning by Kenny Young who was most helpful in putting our ideas into a fantastic reality and within our budget and no hard sell. Our installation date was also brought forward by a week to ensure that all work would be complete before Christmas. The installation was carried out by Bruce and Tam who provided a very high standard of workmanship and left a kitchen of which we are most pleased. They were always on time to start in the morning and put in a full shift every day. They had to be persuaded to take some time off for lunch. I would certainly recommend Clyde to install a kitchen to anyone considering updating their kitchen as I think they are the "go to company" for kitchens. We hope to have the bathroom done next and Clyde are favourites to do this. We wish to thank Steven for designing our kitchen and Marton who fitted it to such a high standard. Everyone who visits us comments on the quality of the materials and the dramatic improvement it has made to our old kitchen. 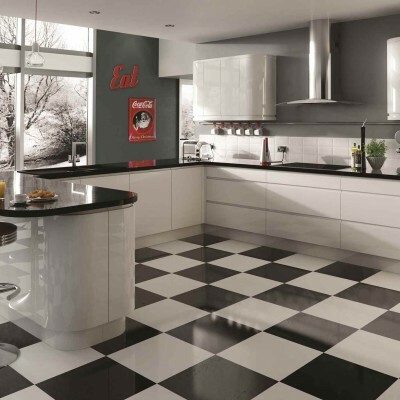 We recommend Clyde Kitchens to anyone planning to make changes to their home. We are delighted with our new kitchen and would like to thank everyone at Clyde Kitchens for their part in making the Design, delivery and Installation so easy. A special thanks to Stevie and his Installation Team who were fantastic. Stevie dealt with any minor problems during installation quickly and efficiently and listened to our ideas and dealt with every request to our satisfaction. John from the Clyde Kitchens Installation Team called us frequently during the week of installation to check on progress and to make sure we were happy with everything. We would certainly have no hesitation in recommending Clyde Kitchens. We asked Clyde Kitchens to install a new fitted kitchen for us and we couldnt be happier. the quality of workmanship and team at clyde kitchens were very friendly. Great work and would definitely recommend to anyone looking for a fitted kitchen. Thank you to Phil for a great design and no pressure to buy at all. Kenny did a great job of planning and design even pointed out things I hadn't thought of. The service was excellent and kitchen delivered on the day expected. Drew the fitter was excellent did a fantastic job considering how all the walls in my house run off. Kitchen looks so much bigger due to the clever design and fitting, definitely value for money. Would certainly recommend to family and friends. Delighted with out new kitchen designed by Caroline and fitted by Tam & colleagues. It was a pleasure to have Caroline explain her ideas for the kitchen and her conversation.Tam & colleagues arrived early on each day of the installation and worked diligently throughout in spite of the weather conditions. At completion everything was left clean and tidy. We would be happy to recommend. Caroline did an excellent job of designing my kitchen, listening to what I wanted and could afford. The fitting went as planned. Scott did a great job with a difficult corner cupboard. The team cleared up every day, were very friendly and trustworthy. I am delighted with my new kitchen and it was very good value for money. I would definitely recommend Clyde Kitchens to friends and family. Having been let down by a well known national company one month before Christmas 2015 we paid a visit to Clyde Kitchens where Brian listened to our dilemma,took on board our problem and from that moment on the rest is history. He arranged for Rochelle to pay us a visit and she certainly knew how to get the best for our kitchen by listening to what my wife wanted and needed. Now with less than a week to Christmas the installers came and fitted kitchen with no mess and first class workmanship. However not everything went to plan as one of the unit doors was missing (not Clydes fault) but Steven made a door so we could enjoy Christmas cooking in our new kitchen. This was rectified as soon as Christmas holiday period was over.18 months later my wife still loves our kitchen due to the planning and advice of Rochelle. When a rough edge on a cabinet door was discovered 2 weeks ago a quick query to Clyde resulted in the door being replaced. Service like this confirms that we made the right choice to go withClyde Kitchens. Stewart Creighton. We were pleased to find a company happy to send a designer to our home prior to any showroom visit or kitchen purchase.Immediately Stuart arrived we knew we were in good hands. He listened patiently to our design ideas and provided his suggestions too. His design, which we hadn’t even considered, was the one we eventually chose and we are so glad we did. Our existing kitchen and dining room is now one big space that has been fitted excellently by the fantastic team of Scott and Tam. Scott organised the different tradesmen we need, including the gas engineer and plasterer, which was a great help. He was professional and patiently answered our questions. Both him and Tam were ready to start early each day and were on site throughout the day. Nothing was too much trouble and attention to detail cannot be faulted. Thank you to everyone involved in helping us get our new kitchen. We are delighted with the results and have already recommended Clyde Kitchens to friends and family. We could not be more delighted with our new kitchen. Caroline gave us fantastic service and instilled confidence with her professionalism and knowledge every step of the way. The kitchen fitters were a pleasure to have in our home and were extremely efficient and nothing was too much trouble. We would have no hesitation in recommending Clyde kitchens. Thank you. After sighting the Clyde Kitchens advertisement on television my wife and I decided to dig deeper and were assured to establish that the organisation was accredited by Which. After our initial contact with Caroline she was able to quickly establish our requirements and offer alternative design solutions to bring our vision to life. This was followed by a visit to the bright and inviting showroom where we were able to see - first hand - the tangible designs on offer and selecting our final kitchen was very easy. As we were undertaking a complementary fit-out of a laundry room this was included in our final requirements. The delivery and installation went to plan. Stevie, who surveyed and led the full installation, was both professional and flexible with a customer-centric approach to the holistic job. Over the week our new environment was progressively brought to life culminating in a new kitchen / laundry room that definitely meets our expectations. I would wholeheartedly recommend Clyde Kitchens and thank all those involved in the process, with a special mention to Caroline and Stevie for their input to our desired outcome. We have just had a bathroom fitted from Clyde bathrooms once again they Have done a fantastic job. From when Phil came out to plan it to the finished product . Stevie the installer was fantastic explained everything. And nothing was was a problem for him. Also a mention to Stevie the tiler who did a fantastic job . Also Graham the electrician who did a great. Also Kevin who was helping stevie. I would recommend Clyde bathrooms highly to people. Once again thank you. My wife and I moved into our new house in December and decided to replace the Kitchen and Bathroom. We began the arduous task of contacting companies for quotes and after a couple of months of this we felt utterly deflated. The companies we spoke to would visit the house, listen to our initial ideas, give us no design help or inspiration, highlight problems without offering solutions and then quote us prices which were utterly ridiculous. We were at our wits end. Then a colleague of mine suggested Clyde Kitchens. I contacted Brian who was very helpful and he arranged for Rochelle the designer to come out and help us. Rochelle was excellent. She spent an evening with us discussing our ideas and adding some really good ideas of her own so by the end of the evening we had a kitchen that we were very excited about and a bathroom to match. Also she understood our budget and we were able to bring it in within this due to some clever ideas from Rochelle which did not affect the quality. Rochelle then returned with Kenny who would be in charge of the actual installation. Again Kenny was very helpful and offered great ideas from his years of experience. Also any problems Kenny foresaw were kept to a minimum and he assured me that if anything arose he would find a fix for it. With Rochelle’s design skills and Kenny’s installation expertise my wife and I had complete peace of mind before the project started. Once the work started the whole process was very stress free. Everyday Kenny and his team of tilers, plasterers etc blasted through the work and did this while also recognising that we still had to live in the house, so always tidied up after themselves and left as little mess as possible. It was great coming home each day and seeing the progress to both the kitchen and bathroom. There were little bumps along the way but true to his word Kenny always found an excellent solution. Once the internal work was all completed Clyde then arranged for our old kitchen and bathroom to be uplifted. The whole process took 2 weeks and we are over the moon with our new kitchen and bathroom. I would thoroughly recommend Clyde Kitchens and personally want to thank Brian, Rochelle and Kenny for helping us design and build the kitchen and bathroom we have always dreamed of. An amazing team and stress free experience. Carolyn Kerr knew instantly the kind of kitchen I needed. It was to be light shiny and extremely functional to make life easier for me with my arthritis. Stevie was a wonderful fitter giving me suggestions such as special plugs for my iplayer and phone. My friends have just been to visit and they cannot believe how big my kitchen looks, and how stylish it is! Thank you all at Clyde for the smooth delivery, design and fitting. I have already recommended you to a lot of people. We are delighted with our kitchen. Caroline was very patient and helpful, answering all our questions and advising us on the design explaining what would work best in our kitchen, giving us much more storage space. The fitters Martin and Robert have done a fantastic job. They arrived at 8am and worked all day sometimes until 6pm. They are both nice young men and a pleasure to have in your home. Before they left each night they tidied up and left my kitchen the way they found it. Everyone who has seen our kitchen has been really impressed and loved our choice of tiles, on show in the showroom, are the perfect background to enhance the units. Thank you to everyone involved. Fantastic from beginning to end. Caroline Kerr listened to what I was asking for and designed the kitchen with great skill, also fitter Ben Ross made a great job very professional and tidy. I can honestly say it was stress free for me. Price, quality and finish was exceptional. I would recommend this company to anyone. I just wanted to say a massive thank you to Clyde Kitchen's especially our fabulous fitter Stevie. When our Sales Rep Stevie Johnson designed our new kitchen he gave us loads of great ideas and tips to make the most of the space we had. Once the design had been done and it was presented to us in a 3d image it looked amazing. I had no idea that the finished kitchen would like as good if not better. Clyde probably are not the cheapest but they are definitely great value for money. I can't thank our fitter enought for the lovely finish and the whole project from design to delivery,installation and the collection of the old kitchen ran like clockwork for us. Thank you Clyde Kitchens. Everything from the planning stage with Phil to the delivery and completion was excellent. The work of the fitters Derek and Craig was of high standard and very professional nothing was a problem for them . I am very delighted with my kitchen and especially with the space created. I would highly recommend Clyde Kitchens to friends and family . Everything was left clean and tidy. I am so pleased with my new Kitchen from Clyde Kitchens. From the very start, with Caroline taking the measurements and giving really good advice, also being really nice and friendly (without the demon hard sell), to the fitting of the lovely items I had chosen from the showroom. My kitchen is in an old flat so anything major that gets carried out always opens a can of worms but Chris, the fitter, came across all sorts of glitches, but got round them without a problem. Suffice to say, the end result is spectacular and I love going in there now. Cannot think of any way in which you could improve on things, and I certainly have already recommended your company. Many thanks. Our kitchen was designed by Stephen, we gave him measurements and we discussed what we were looking for. The end design was perfect so we went ahead at a great price. Stephen came to the house to double check measurements and I discussed further building work I wanted completed, price agreed and date arranged. Installation was on schedule and completed exactly as we hoped, excellent service from George who completed our further building work and then both George and Kevin who completed the kitchen fitting and further finishing touches. Excellent service and value for money, I would highly recommend this company and team of fitters. Delighted with our new kitchen. Special thanks to Caroline for all her help and advice and also to Stevie for a superb job under difficult circumstances. Many thanks again!! Having just had our kitchen fitted by Clyde Kitchens, we have to say that the service we received from the moment Rochelle came to assist us in designing the kitchen, her help and advice was so helpful and practical nothing was to much trouble for her, we also have to mention Dave our co-ordinator who always kept us informed as to the delivery dates and the fitting of our kitchen and indeed went out of his way to bring a sample of the worktop as we were unable to get to the showroom to our house, The fitters Paul & Ross were outstanding so clean and tidy and again nothing was to much trouble for them and the quality of their workmanship was excellent, we did have a problem with a couple of the doors which came slightly damaged but this was resolved very quickly and the kitchen was finished on time, we are always wary about recommending anyone, but we would recommend to anyone who is looking to get a new kitchen to seriously look at Clyde Kitchens, you will not be disappointed. Got to say Clyde Kitchens are one of the best firms I've dealt with, excellent value for money , fitters who were second to none. Special thanks to Drew who finished some last minute changes I'd requested, one of the best Kitchen fitters I've ever seen, and all the other fitters were long standing and thougherly professional, a couple of problems arose which were not expected and the company went above and beyond what I expected, probably at cost to themselves. I'd have no hesitation in recommending Clyde , they are an example a lot of companies could do well to follow, could not recommend highly enough. Special thanks to Caroline and Gerry. A big thank you to the entire team on our newly installed kitchen. Caroline and team did an excellent job in the planning and design, but our special thanks must go to Tommy and Billy (installers) who did a stellar job and went above and beyond to ensure a first-class job - definitely a wow factor. Would highly recommend Clyde Kitchens to friends and family and anyone considering having this work done. Thoroughly impressed with Clyde Kitchens, from start to finish. I would like to thank Caroline for designing our kitchen perfectly! Also I would like to thank our fitters Gordon and Raymond who were punctual professional and provided a first class service. Would highly recommend Clyde Kitchens to anyone. Once again thank you all. Delighted with the team at Clyde Kitchens, down to the joiners, electrician, plasterer, tiler and the rest of the team. I would recommend them to people that are looking for a high quality kitchen at a reasonable price. Thanks to Caroline who designed the kitchen and really took the time to communicate through the fit. Well done and thank you.???????? Planning and design service was done by Caroline who was outstanding..! from start till finish she was always at other end of phone, she helped us choose from many styles and colours. Caroline was the first reason I chose Clyde she comes into your home so pleasant and with lovely manners. Next was our fitter Stevie who was a real perfectionist my kitchen is stunning and well worth the extra time he spent on it, nothing was too much trouble for him . Thanks to the above mentioned we are delighted. Right from the outset, the planning and design of our new kitchen was carried out exactly to our needs and requests by Caroline. Our kitchen was delivered on time, as we were advised. Our kitchen fitters, Gordon and Raymond were both professional and courteous, and worked very hard to provide the perfect kitchen for us. They are both a credit to your company! Very good value for money. I would definitely recommend Clyde Kitchens to my family and friends! My brand new kitchen is amazing and way beyond anything I could have imagined. Every member of staff involved in my kitchen from design, planning and fitting were fantastic. Caroline listened to what I was looking for, gave advice on what works well together and designed a beautiful kitchen for me. The fitters were brilliant and nothing was too much trouble for them. I would highly recommend Clyde Kitchens. I can't speak highly enough of Clyde kitchens! I recently had my kitchen fitted by Clyde and it was a fantastic experience from start to finish . Stephen, Andy and the team were punctual, professional and provided an excellent service from the design visit by Stephen to installation by Andy and team. The cost was really affordable with finance options too which really helped us financially. Clyde really care, carrying out courtesy calls before, during and after installation. Installation included everything you could think of from delivery to all those small bits like skirting board and light sockets. Clyde also uplift everything after including all your old white goods which was a godsend. Clyde really delivered a hassle free, professional service. Whole thing only took around 3 and half days! 5 stars! Caroline planned my kitchen, and the design is really lovely. Gordon and Raymond installed it. I am so pleased with it, and Caroline kept in touch with me. Now that I am a Clyde kitchens customer, I have been told that any problems in the future can be dealt with, no Problem. I will have no problem recommending Clyde to friends. We are delighted with our kitchen. Our designer, Caroline, helped us throughout and if any minor issues arose, she dealt with them promptly. She also followed up with an email after the kitchen was installed.Our fitters, Martin and Robert, did a superb job and we have the kitchen we wanted because of their wonderful "can do" attitude. Nothing was a problem to them, they had a solution for everything. We would be happy to recommend Clyde Kitchens to anyone. After about a year of saving and research (Howdens, Wickes, IKEA, B&Q, Magnet, Moben Wren etc -(some silly prices, designs and service) I used Clyde kitchens and would highly recommend them - rigid construction with matching interior , great selection of sizes and styles. Very good quality .The most important thing is....Our Clyde kitchen is magnificent, we love it! We were so pleased with the end result. Our kitchen is quite a small kitchen and we were not sure what we could do with it. Then the designer(Gerry) came along and planned it superbly. We have space we never thought was possible. Nothing was ever too much trouble for him and he was always polite, honest and never pushy. In fact everyone we dealt with within the company were great, helpful and courteous throughout. There was little disruption and the fitter (Robert)was brilliant nothing was ever too much trouble for him,infact Robert's full team were second to none! The end result was excellent, the kitchen is stunning, such high quality and superb finish. We would highly recommend Clyde kitchens to anyone. From day one when Kenny came and planned our kitchen we could not fault the service, Steven the fitter was great as were all the team who worked to give us the kitchen we wanted, would highly recommend this company to anyone looking for a first class service. After completion got a call from Gerry to make sure everything wentsmoothly, and to explain follow up details and guarantee. The design visitor, Caroline, was very pleasant and lovely to talk to. Everything was explained and she was always at the end of the line. The fitters were very nice and they explained what was going on. I would definitely recommend Clyde Kitchens to my family and friends. Thank you very much!!! We have just had our new kitchen fitted and to cut a long story short you will not get a better sevice than what my wife and I got with Clyde Kitchens the transformation is brilliant to say the least done by two first class tradesmen many thanks to them and the rest of the staff who gave a first class service and were true to there word I would highly recomend this company which I have done again many thanks. Recently had our new kitchen fitted by Clyde Kitchens and would like to say what an excellent service they provided. From start to finish everything went to plan and we are delighted with the end result. We would definitely recommend Clyde Kitchens to anyone. Planning and design, service, delivery, installation, value for money...all first class. Over the moon with our new bathroom. Would definitely recommend Clyde Kitchens and Bathrooms to family and friends. Thank you all. We love our kitchen! Caroline came up with a design that fitted our brief perfectly and has been a friendly contact througout the process. Drew, the fitter, did an excellent job, was great company for the week and even put in extra time to ensure the job got done in time. He also alerted us to a plumbing issue under our kitchen floor which meant we were able to deal with it before the planned floor tiles were laid - saving us a lot of money and hassle in the long run! My only negative point would be that communication from the administrative offices needs some attention, but on the whole it's been great and we'd definitely recommend Clyde Kitchens to anyone looking for a new fitted kitchen! Just wanted to say what a brilliant team you have working with you. Steven designed the Kitchen perfectly, nothing was a hassle for him. The Kitchen was delivered on time and the fitters did a first class job of the installation and even managed to finish the job earlier than expected, including laying a new floor. The tiller was a perfectionist and his work is second to none. Thank you so much, we will certainly recommend Clyde Kitchens to family and friends. Thoroughly impressed with Clyde Kitchens, from 1st contact in the showroom, to Kenny the designer who helped us design the kitchen we wanted, to the fitting team headed by Davie. We had the Kitchen fitted while we were on holiday and delighted to what we came back home to. No mess and a beautiful Kitchen. A member of the team came out to explain the workings, etc and to make sure we were fully satisfied with the finished article, which obviously we were. Would certainly recommend ! Just to like to thank Clyde Bathrooms for an excellent job from designing the En suite and main Bathroom to the Final installation. The result was simply stunning and many friends have commented on how fantastic they look. I would personally like to thank Steven Johnstone for his designs and assisting us. Also Drew, the fitter who worked very hard to ensure we had a showroom standard Bathroom finish. I would highly recommend that anyone who wishes to install or renovate their Bathroom or Kitchen would use Clyde, the quality of products and workmanship was outstanding. Thank you Clyde. Just had my new Kitchen fitted and it looks amazing. Everyone was so friendly and helpful. Caroline designed the Kitchen perfectly and it was delivered right on time. Gordon fitted the Kitchen and was so friendly. Due to the bad design of the room (nothing to do with Clyde Kitchens), Gordon had a lot of problems to overcome but he never once lost his sense of humour and was extremely hard working. As well as the new Kitchen units, I had a new ceiling and floor which also looks amazing. I am really delighted with everything and Clyde Kitchens including the very good price and I would certainly recommend them not only to family and friends but to everyone. I have just had a new Kitchen installed by Clyde. The designer Caroline was very professional and helpful. The work carried out is exceptional. Gordon and Raymond consulted my wife and I at every stage of the build. This made us feel part of the team. The best two tradesmen we ever had in our house. Great service from start to finish, took the trouble out of trying to find all different tradesmen to do the different jobs, got a whole new kitchen, ceiling and floor done to the highest standard, the level of service from the company was second to none. Would definitley recommend this company to anyone looking to change their Kitchen.